I hope you stayed safe during the heavy rains we experienced this past week. Thankfully there have been no serious injuries or fatalities to report. Thank you to all the Fire Departments, Emergency Management Agencies, county, and municipal leaders. If not for their proactive efforts, the effects of the weather could have been much more damaging. If you need assistance we have provided contact information below. Outside of the storms we have had several things going on in the district this week. Here is a recap of what our office has been working on. Last week I was told that the Williamson County Early Childhood Program is in danger of shutting down due to the budget impasse. 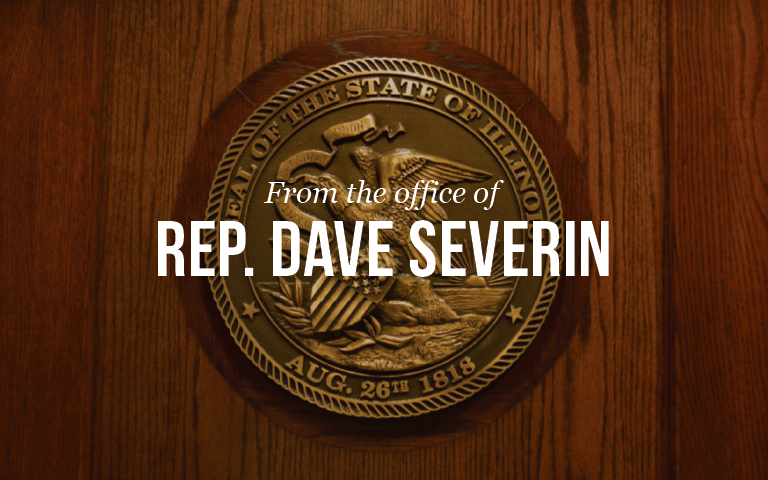 In response I have contacted and been working with the Illinois Comptroller’s office requesting hardship payments to keep the program running into the next fiscal year. The program services all five districts in Williamson County with Pre-K education that many families would otherwise not have access to. It is critical that we keep this program running for the children and families that rely on it. Many of you have heard about the Veterans Honor Flight that flew out of Marion in late April. It was a tremendous event and to recognize this special occasion, I introduced House Resolution 328 which recognizes April 25, 2017 as Veterans Honor Flight Day in the State of Illinois. On Tuesday, I presented the Honor Flight board with a copy of the Resolution as well as certificates for all the veterans to acknowledge their selfless service to our country. Thursday, my staff and I held an open house in our district office and we were very happy with the turnout! I had a great time meeting some new faces, showing off the office, and talking about what is going on in Springfield with constituents. Thank you to all of you who came out and I encourage those who could not make it to stop by and say hi. The Marion office is staffed Monday through Friday, from 8:30 am to 4:30 pm. You can email me through the Contact Form on my website at www.repseverin.com. My staff and I are here to serve you! So please feel free to share your opinions with us.